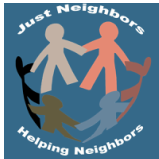 Just Neighbors is a volunteer organization dedicated to assisting our neighbors in crisis by ensuring that individuals have basic life necessities. We support individuals, families and seniors in meeting their housing, transportation, safety, health and security needs. Just Neighbors provides its services to residents of Andover, Bondville, Landgrove, Londonderry, South Londonderry, Peru, Weston, Winhall and Windham in Vermont.